I started with AMI in September of 2007. Without realizing it, I was embarking on a journey that would bring confidence, success and empowerment to me and my practice. Two years prior to joining AMI, I had opened and grown a very successful chiropractic clinic. However, success to me was bitter-sweet. I soon realized I did not have any system in place to explain my growth nor to ensure it continued. Worried at the thought of not being able to reproduce my results for years to come, I grew frustrated. 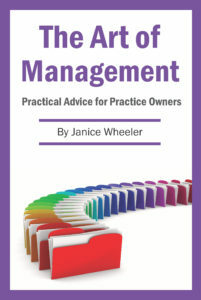 I wanted business principles that would allow me to assess my practice like I assessed patients on a daily basis. Joining AMI answered everything for me. I am now equipped with the tools needed to assess, explain and predict any given situation that arises in my practice. My actions are no longer reactive but instead, calculated and reproducible. AMI has also given me the skills needed to better manage my staff and make them part of the growth. Thanks to AMI, I have peace of mind knowing that my business is being managed properly with sound business principles and ethics. I can now spend more energy introducing more patients to this wonderful profession that I love and am grateful to be a part of. Thank you.